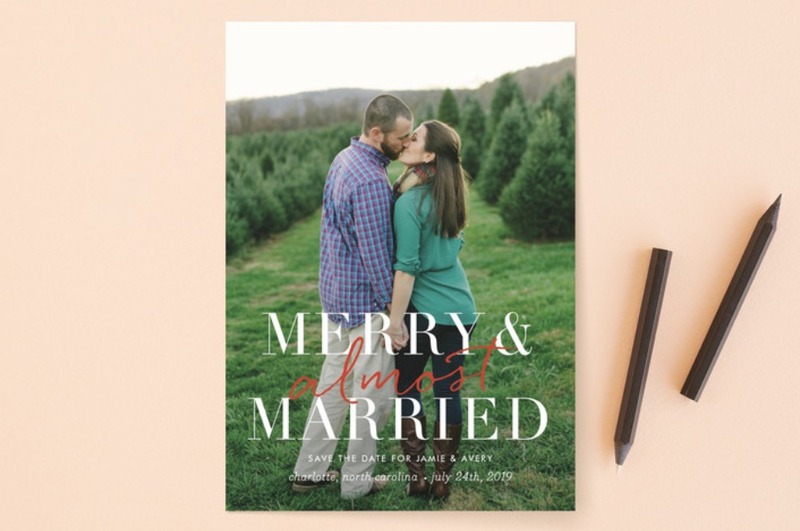 Are You Ready to Send Out Holiday Cards as a Couple? Halloween is tomorrow, which means November is basically already here, Thanksgiving will be here before we know it, the holiday season is upon us, and 2019 is right around the corner. 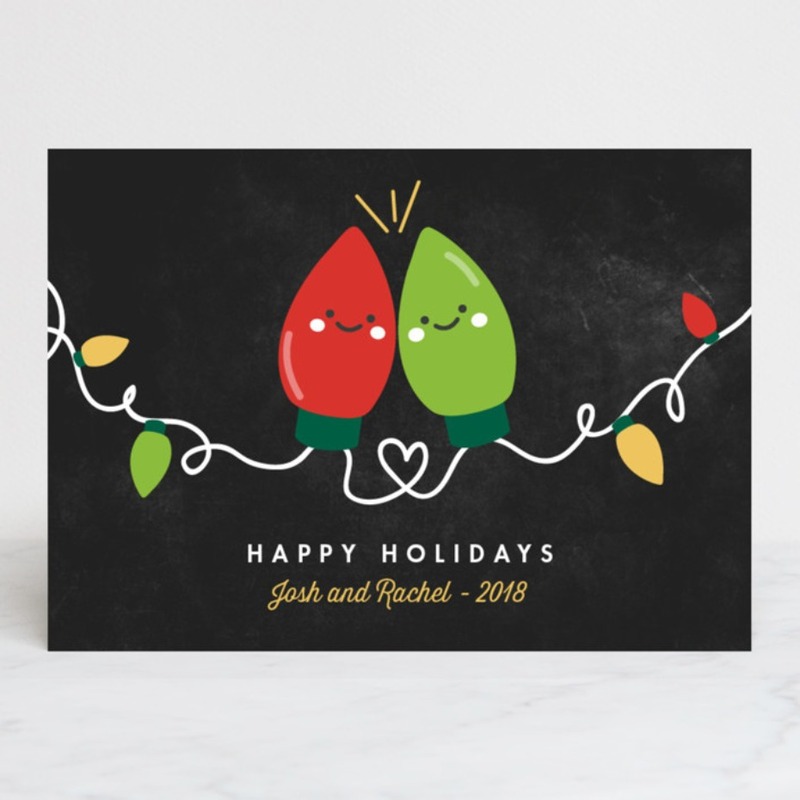 And since decorations will be proudly displayed in every store in just a hot sec, the holiday card send-out situation will be hovering over everyone real soon. 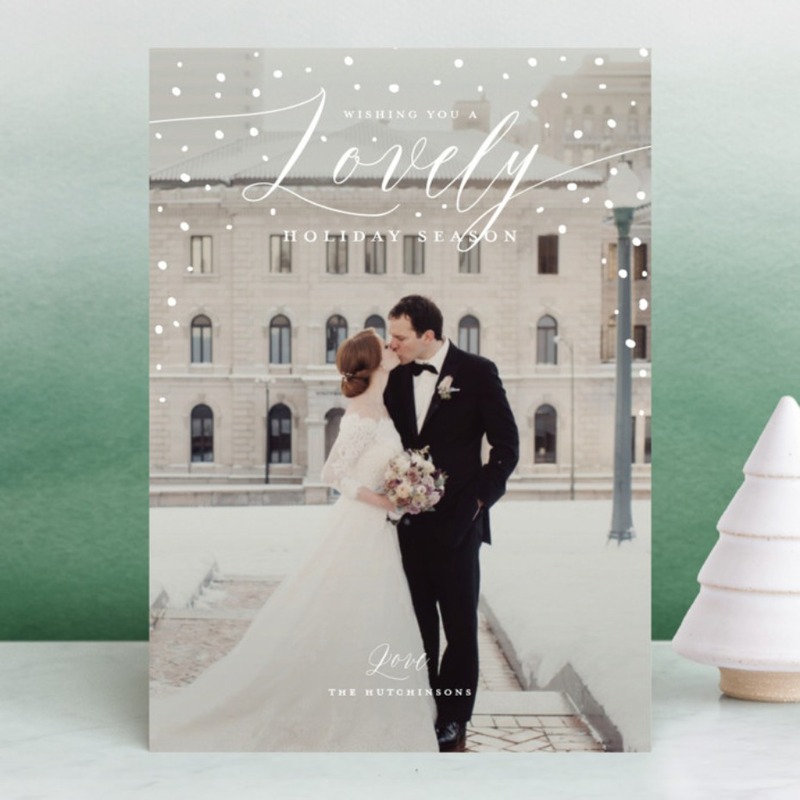 So, we thought it'd be a good time to go over a checklist to determine whether sending out holiday cards, as a couple, is in the cards for you this year. One of my all-time faveeee episodes of Friends is The One With Ross’s Step Forward, when Ross and his GF at the time, Mona, take pics at Rockefeller Center ((basic Greater NYC area #couplegoals this time of year)) and when they get the pics back and love how they look, Mona asks Ross if he’d like to send a holiday card out together. After which, he freaks TF out, and can’t believe he’s entering into such a ‘serious’ space with his S.O. of only a few months. It’s sooooo funny, because it’s beyond relatable. I remember having a discussion about couple holiday carding with my hubby years after we started dating. 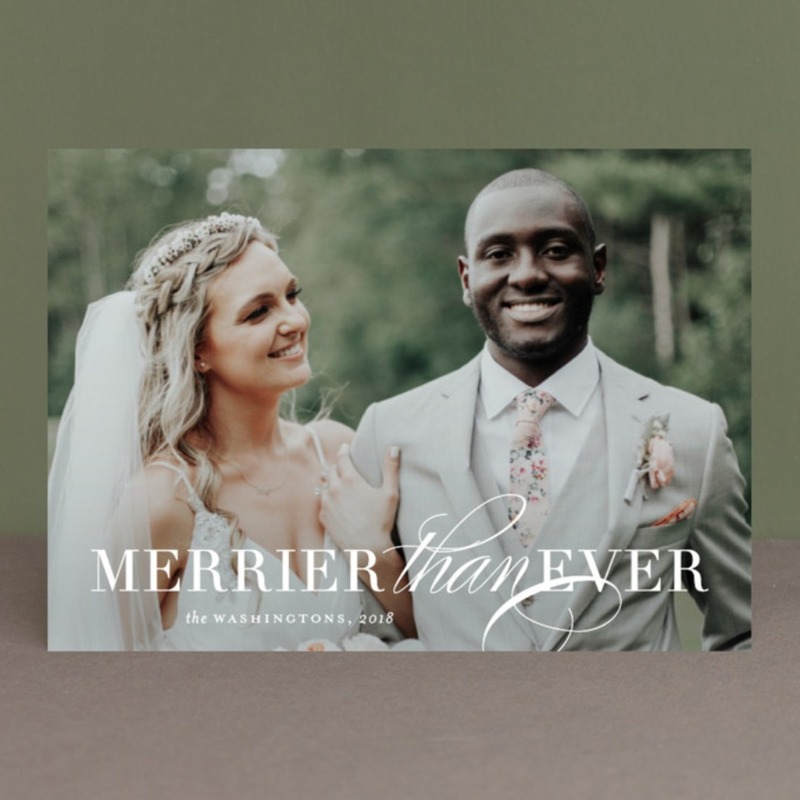 Jokingly, he asked one season if I’d ever want to send out a card together, and my answer was, unequivocally, “NO,” not until we’re married - at the very least. I just felt very awkward about the situation, and I don’t think it really had anything to do with insecurities about my relationship, it just felt weird. 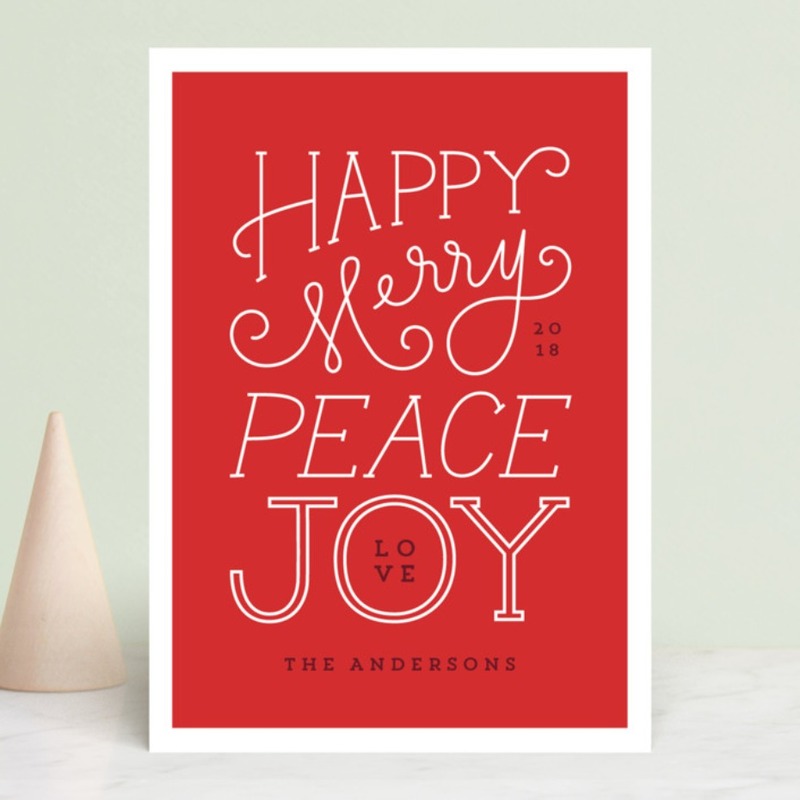 He was a part of my family, as far as I was concerned, but I felt like sending a holiday card was more for actual families - moms, dads and kids. And we weren’t there yet. 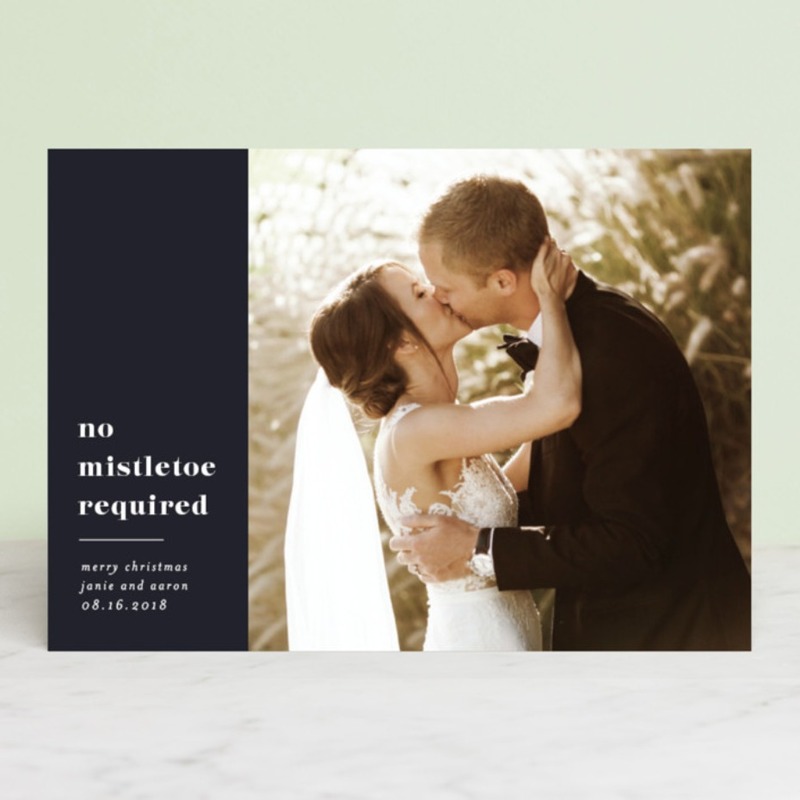 My thoughts have certainly changed over the years, having sent out two holiday cards in our almost-13-years together, but if I had to qualify readiness to send a couple card out by certain criteria - this is how I’d do it. And if you find yourself in a very Friends-like scenario this season, just use this scorecard to see where you stack up and whether you should send them out. You’ve celebrated a special milestone this year. 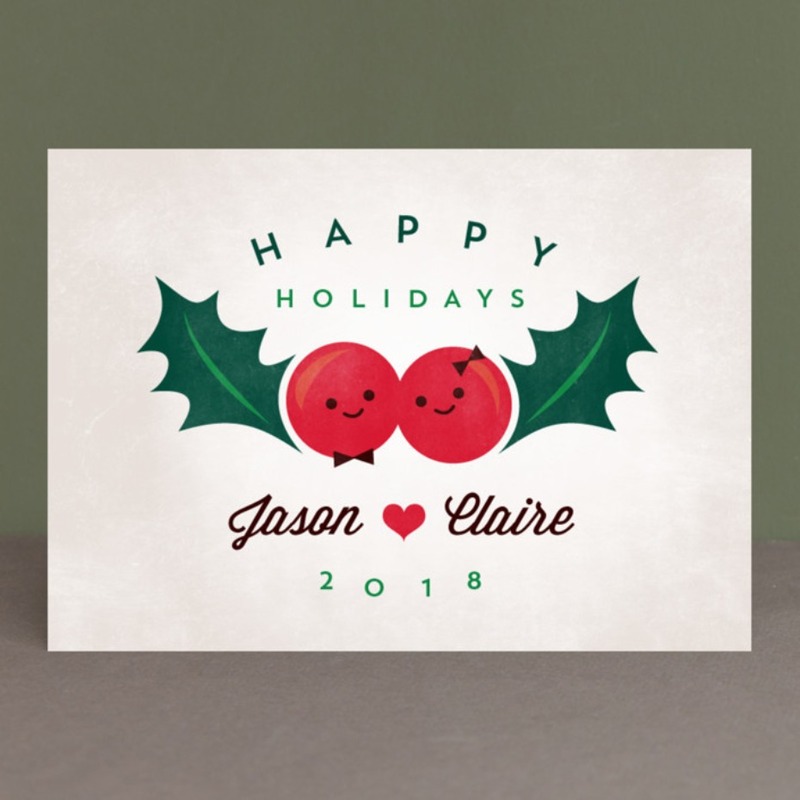 Truthfully, the first time we ever sent a holiday card out was when I was 7 months pregnant, in front of the tree, hubby’s hand on my baby bump, and a hugely cheesy maternity top on that said ‘Guess who’s coming to town.” It was basic AF, but we loved it, and it meant something to us. 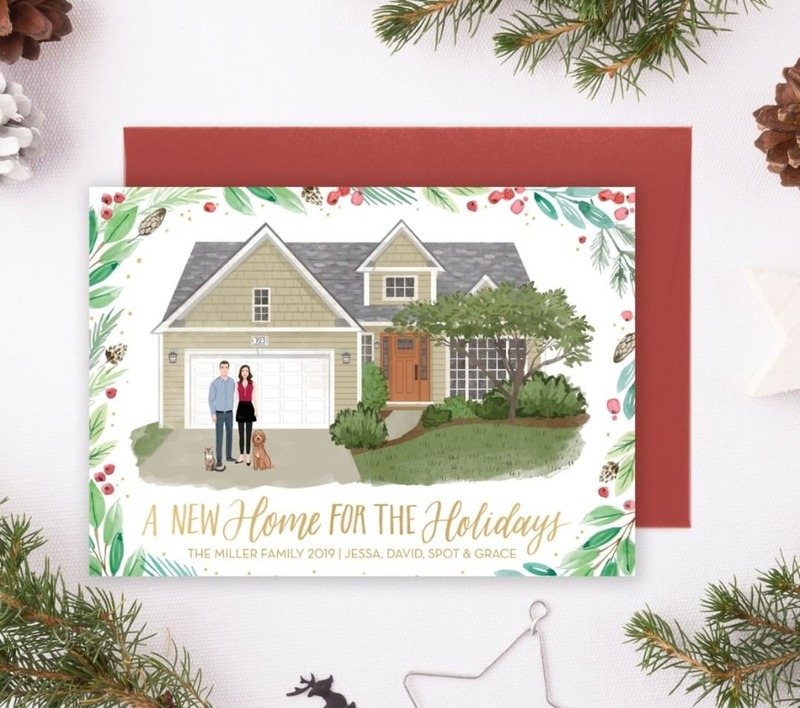 We used “The Halibey Family” in our return addresses, and it just felt right, because our kid was actually coming and we’d soon be a family of three (four if you count our fur baby). 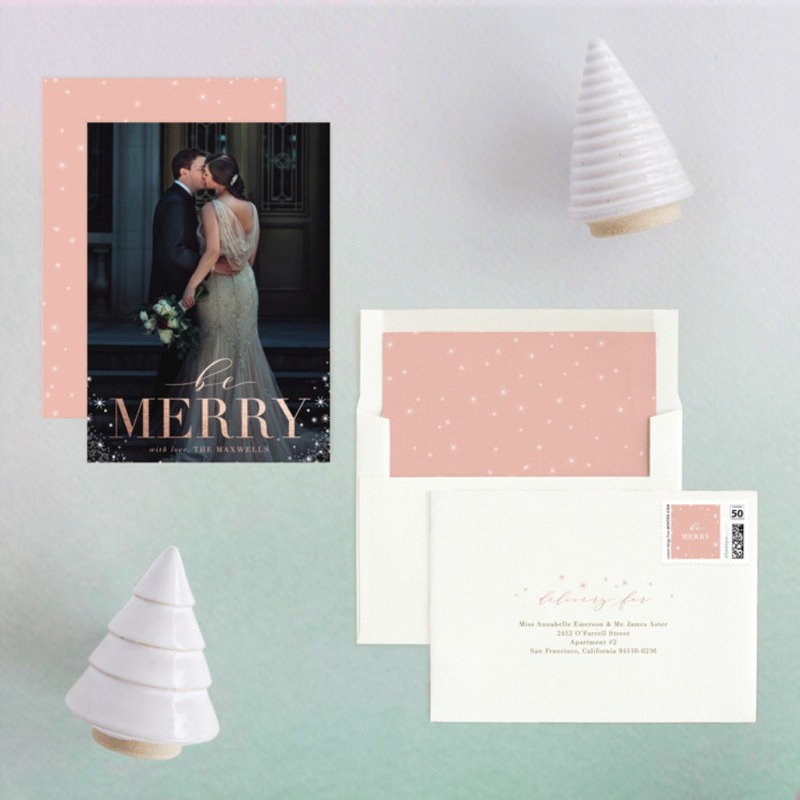 We’d say, too, that it’s not a good idea to use holiday cards as a means to make any BIG announcements that haven’t already been made in-person. 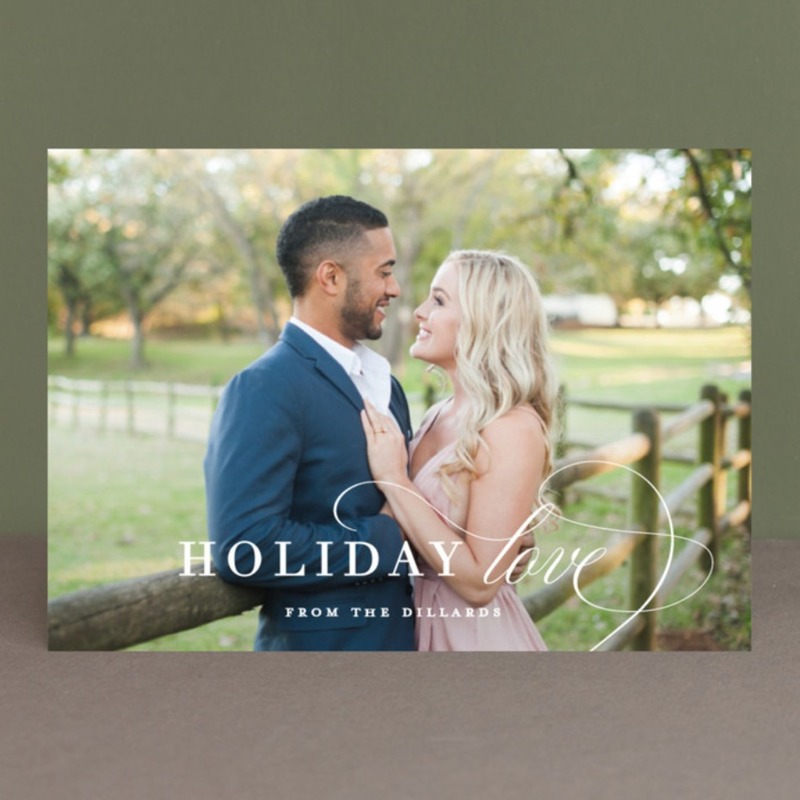 If you haven’t formally told your grandparents that you and your guy or girl got fiancéd up, sending them a card of the two of you posing, new bling blinding, is pretty insensitive. You’ve gotten real about your relationship. One of the biggest issues about Ross and Mona’s holiday card conundrum was that they hadn’t yet had a discussion about where they stood in their relationship before talking about holiday couple decorum. 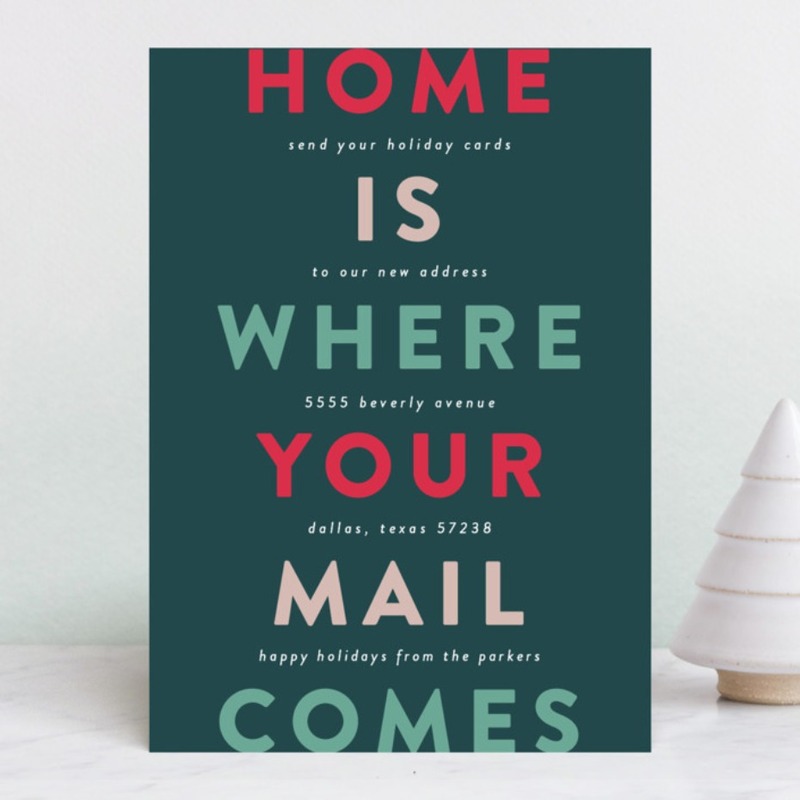 If you don’t feel on the same page with your person when it comes to your status, then you really can’t come to a consensus about sending out holiday cards. 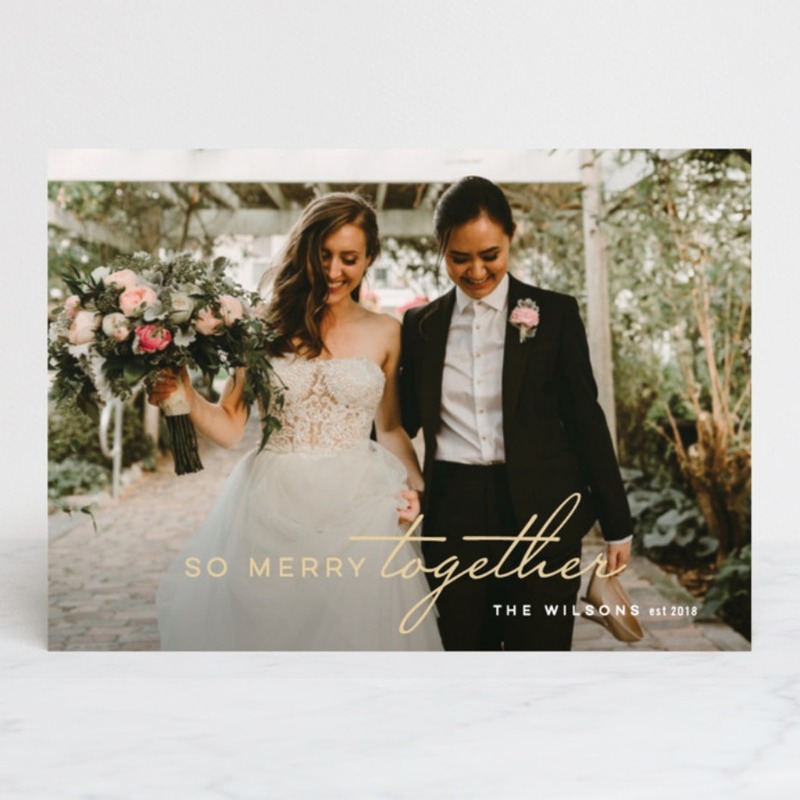 Alternately, if you are pretty comfortable with where you are in your partnership, then you probably have a sense for your couple style and can pick a card that suits you guys to a tee. And when we say comfortable, we mean you’ve stopped comparing your love to everyone else’s. 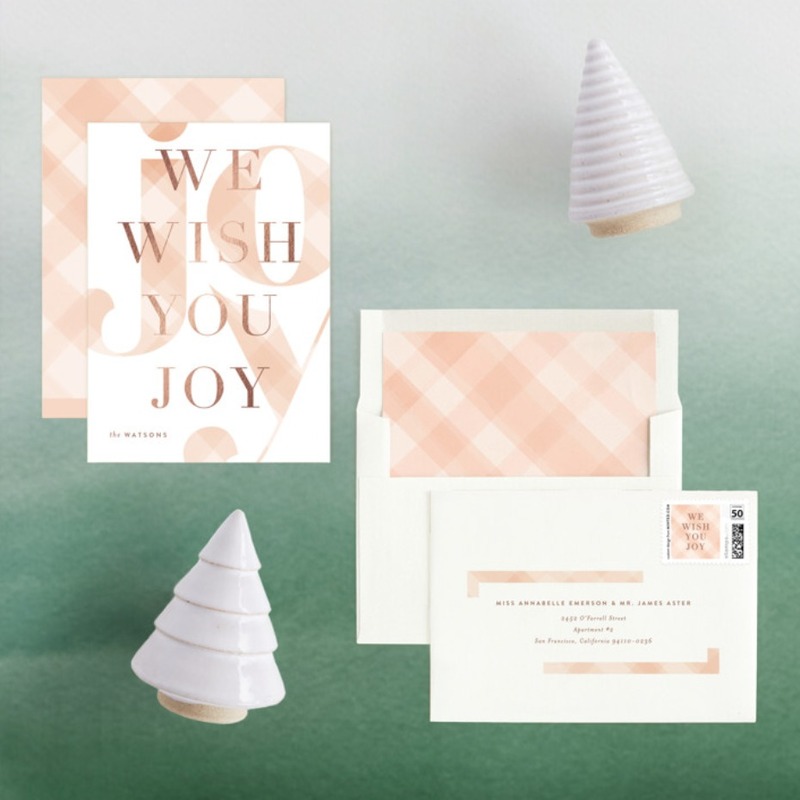 If your besties are sending out cards with matching PJs, it doesn’t mean you have to, as well. You’re on the same page about who’D BE getting one. Deciding to do a holiday card is great, but if you guys have way different expectations of who you’ll be sending out to (Mona told Ross that she wanted to start with 100... ), then maybe you’re not as close as you think you are or you need to spend a bit more time getting to know each other’s respective squads - family and friends - before you co-sign your names on festive correspondence. You’re ‘all in’ on this holiday tradition together. You’ve got the grammar rules down pat. 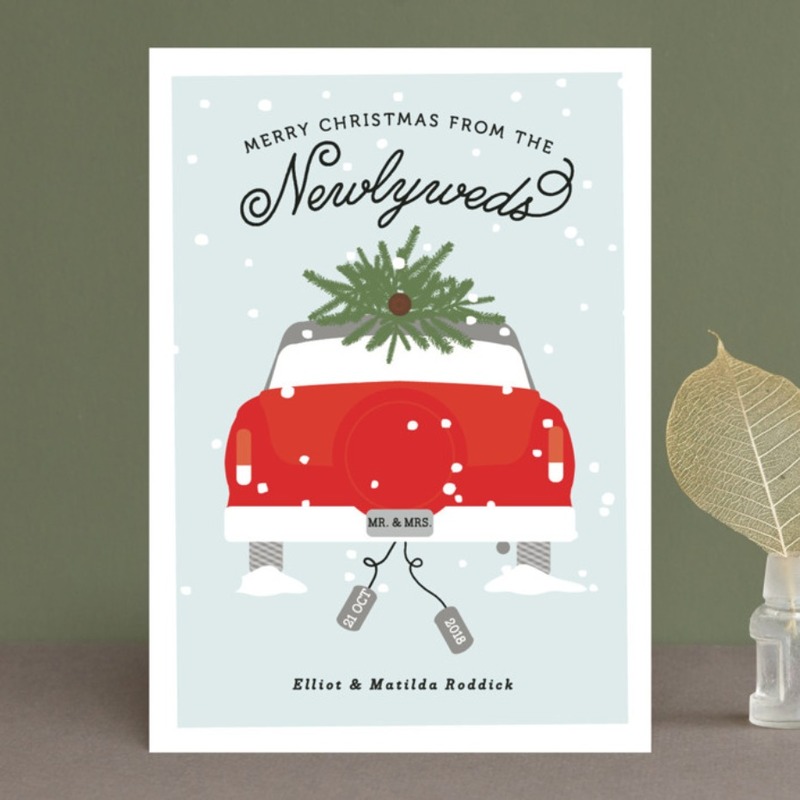 If you’re newly-married and know how to make your last name plural, you have our blessing to send out holiday cards. 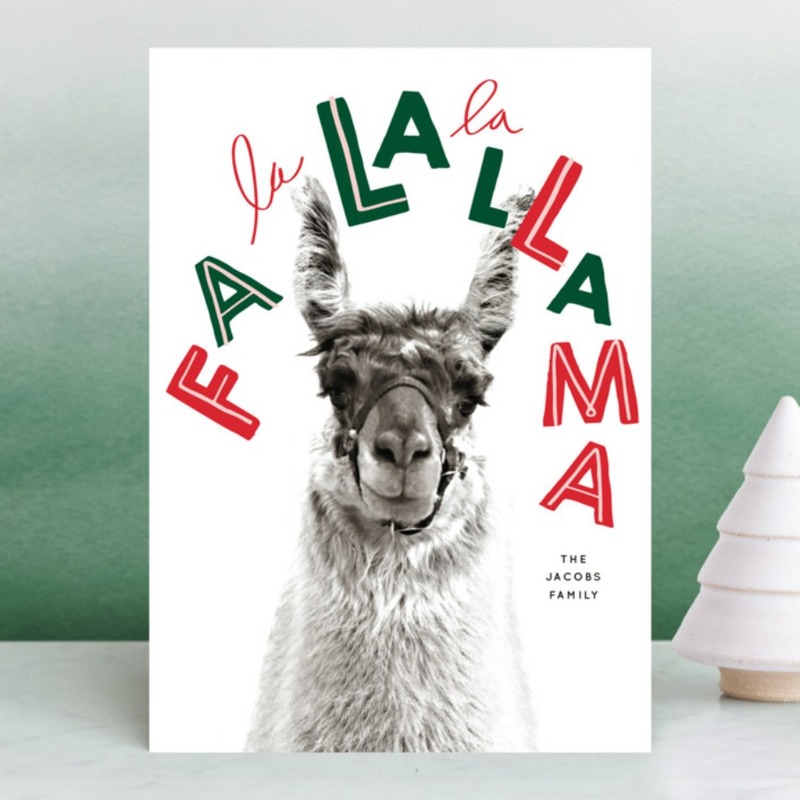 If you have no clue what you’re doing, maybe just sit this one out or refresh yourself on all the grammar rules to rock [around the Christmas tree]. 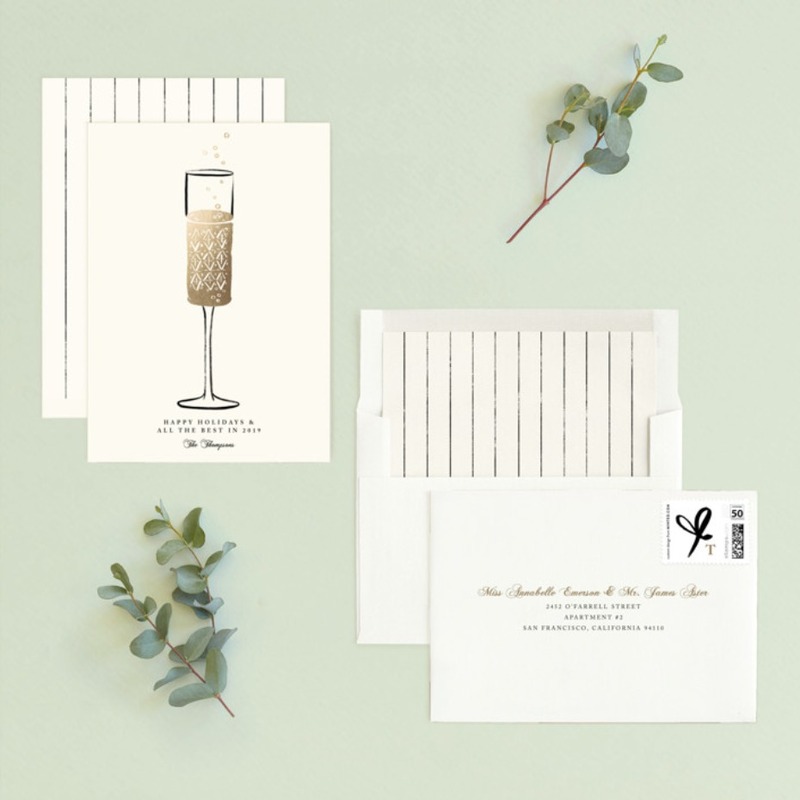 All ready to go on those holiday cards? 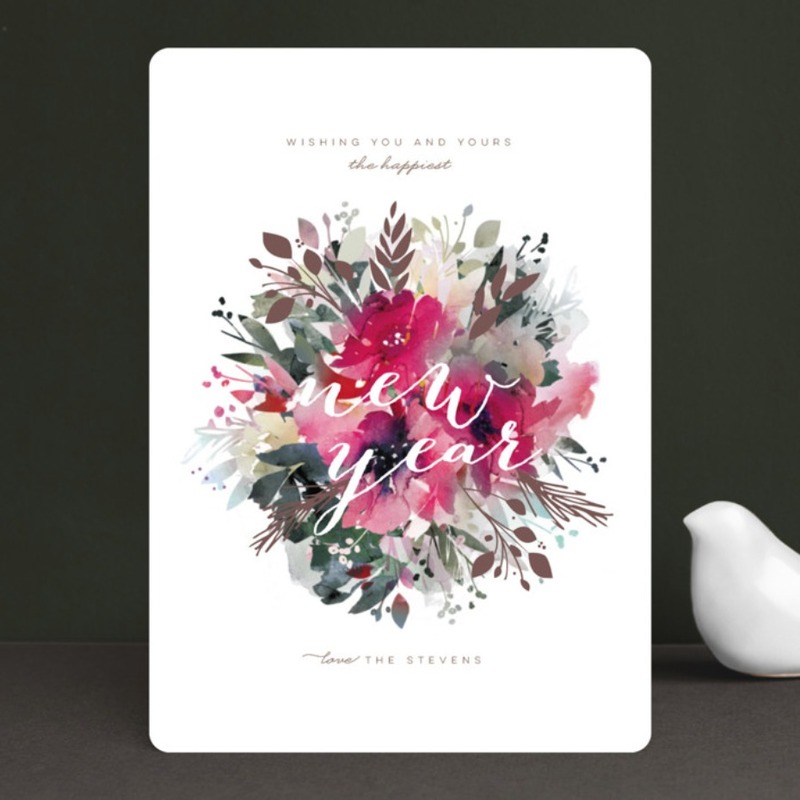 Here are a few of our faves from Minted. Oh! And we have a few FREE ones, too. P.S. you’ll also need to be the couple that gets s*** done quickly. 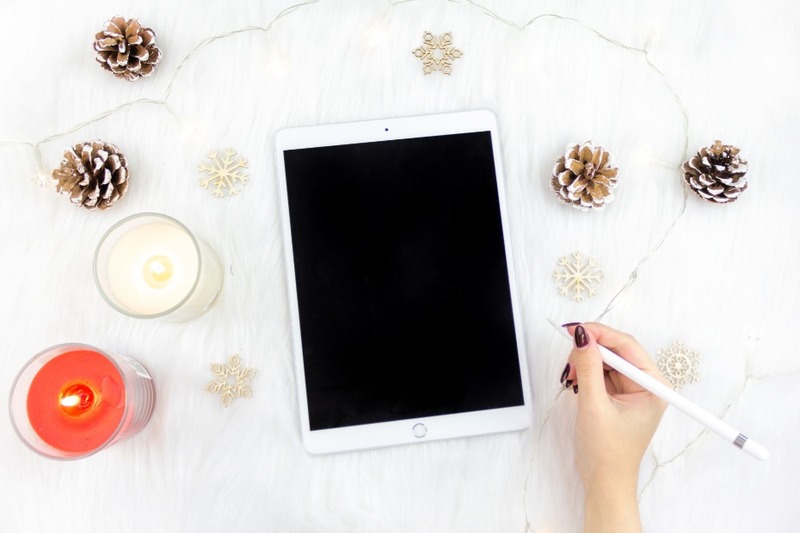 Holiday carding can’t be an impulse decision - you should order them well in advance - at least three weeks prior to Thanksgiving. That means NOW, basically. 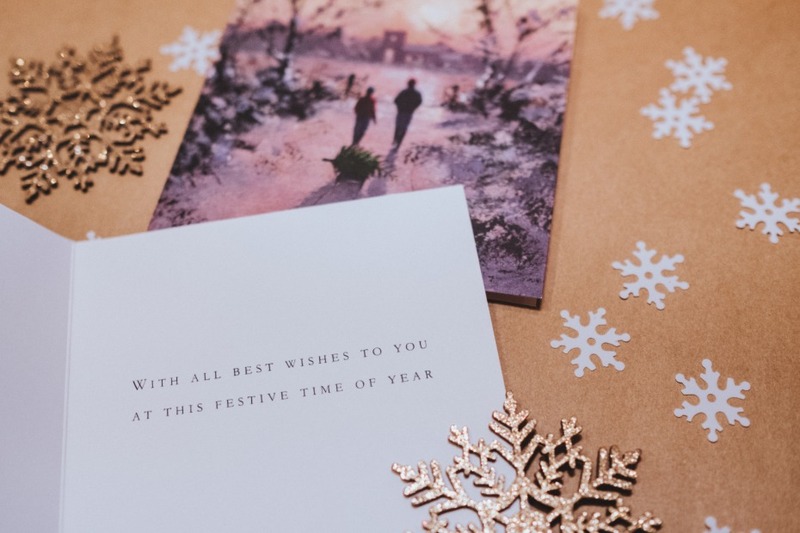 Once you’ve received them, you have until 2-3 weeks before Christmas to send them out. So, you can’t just phone this in. Goes back to that ‘all in’ point.